Looking to Golf the Pinehurst Area? Let us develop a custom stay and play golf package. 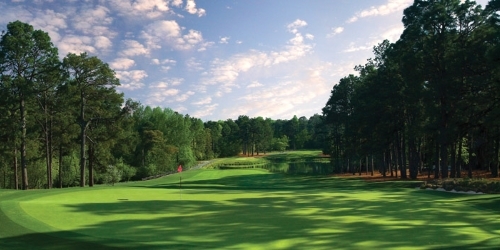 With 40 world-class courses within a 15-mile radius, including the host course for the 2014 U.S. Open and U.S. Women's Open Championships, it's no surprise that in 2013 Golf Digest ranked Pinehurst, NC the #4 "Best-Buddies Trip Destination." It is also the highest ranked destination on the East Coast. Pinehurst, Southern Pines, Aberdeen Area reserves the right to change price and offer at anytime. Prices and offer are subject to change without notice. NCGolf.com is not responsible for errors posted in this golf package.